At Shananhan Swaffield Partners, we provide a total wealth creation and financial solution that meets your needs. Through our financial planning arm, InvestRight Wealth Management, we work with you to identify your investment goals and help you reach them. Whether it is personal financial planning, wealth creation, superannuation advice or retirement planning - Shanahan Swaffield Partners have you covered. With so many investment and wealth creation strategies in the market now, it is easy to get overwhelmed. For all your financial planning needs, contact our SSP specialist advisors today. 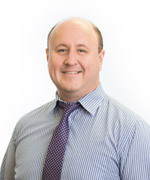 Justin has 15 years + of experience in the provision of financial planning advice. Justin attained a Masters of Business Administration from Central Queensland University in 2000 and a Diploma of Financial Planning from Deakin University in 2003. He is a member of the Financial Planning Association, and principal of InvestRight Wealth Management.